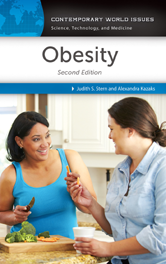 A highly useful and accessible resource for high school to undergraduate students as well as post-graduate level readers with an interest in health and nutrition, this updated second edition of Obesity: A Reference Handbook offers up-to-date answers to essential questions about obesity and connected societal and health care-related issues. Can We Blame Obesity on Our Genes? How Does the Health Care System Deal with Obesity? Why Can't We Just Prevent Obesity? What Are the Risks of Taking Supplements for Weight Management?